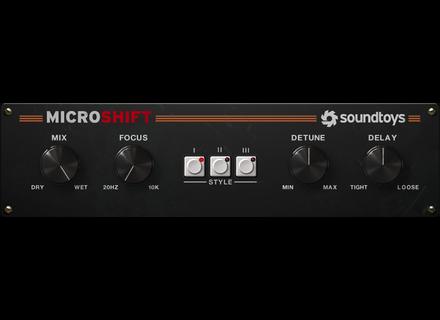 MicroShift, Pitch Shifter / Time Stretcher from Soundtoys. Almost a year after releasing the free Little MicroShift, SoundToys has finally introduced its bigger sibling, a plug-in designed to add space and depth to a wide variety of sources. MicroShift is also the first SoundToys plug-in that offers authorization options beyond iLok. SoundToys is an old hand in the small world of audio plug-ins. In the beginning, the Vermont-based software developer specialized in TDM plug-ins for Pro Tools. 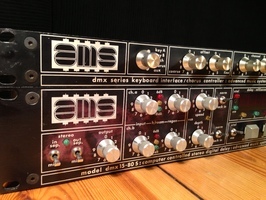 While their products were of excellent quality (like the superb EchoBoy delay), their high prices and format made them exclusive to an "elite" few. But everything that has to do with computers in one way or another evolves very rapidly. Fortunately for us, SoundToys has been able to adapt to these changes. As proof of that are the launch of native versions for Pro Tools LE in 2006, the implementation of AudioUnits compatibility in 2007, as well as VST in 2008, and everything with more accessible prices. However, the brand's plug-ins still required an iLok. Up to now, all SoundToys plug-ins have required the famous protection system based on a USB dongle. But not anymore. MicroShift is the first SoundToy plug that can be installed and authorized without the need of any dongle! The authorization can be associated directly to a given computer. You nevertheless need an iLok account to manage the license via the iLok Manager software, but it's free and can be done in no time. And you can obviously use an iLok key as well, it's up to you. A good proof of evolution, isn't it? Don't misunderstand me: I am not against protection systems like iLok, which do have their advantages like, for example, the possibility to move a plug-in from one computer to another in no time, whereas when you use a system that associates the plug-in to the computer, you have to dissociate them and then go through the entire authorization process on the new machine. However, dongles can sometimes be a limitation, depending on your system. So, giving its users the choice seems a very good idea. Besides, several software developers have been doing the same lately, which is great news. Going back to SoundToys, if the experience with MicroShift proves to be a success, it wouldn't be hard to imagine that they will implement this option on all the plug-ins in their catalog. Let's end this brief digression to go into the heart of the matter. Available in VST, AU, RTAS, and AAX formats, both in 32- and 64-bit versions for Mac OS X and Windows, MicroShift is a plug-in that allows you to apply to your tracks a well-known trick professional sound engineers use in order to gain space and depth. The principle behind this "magic" formula can be summarized as the use of tiny pitch and/or delay variations sent to the right and left of the stereo field. Back in the '80s, most professional studios had hardware machines capable of doing this nifty trick, among other things, the best examples being the Eventide H3000 and AMS DMX 15-80. Therefore it's no surprise that SoundToys took them as the foundation to develop their MicroShift. 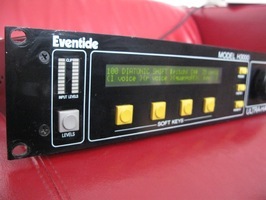 Besides, it makes even more sense considering that the team behind SoundToys worked for Eventide during the development of the H3000. In addition to that, on the top part of the interface there are elements common to all of the publisher's products: A rather pleasant preset manager and a Compare button that lights up when modifying a preset and allows you to compare the original preset and the new setting. My first regret is the lack of a bypass switch. You will have to use the one on your sequencer. It's silly, but I miss it. Apart from that detail, the plug-in proves to be über intuitive in use. You only need to insert it in a track, browse through the fifteen or so presets available or tinker with the parameters and it sounds really good. It's spacious and it's deep. In short, the plug-in fulfills its promises while adding a slight but very nice coloration. 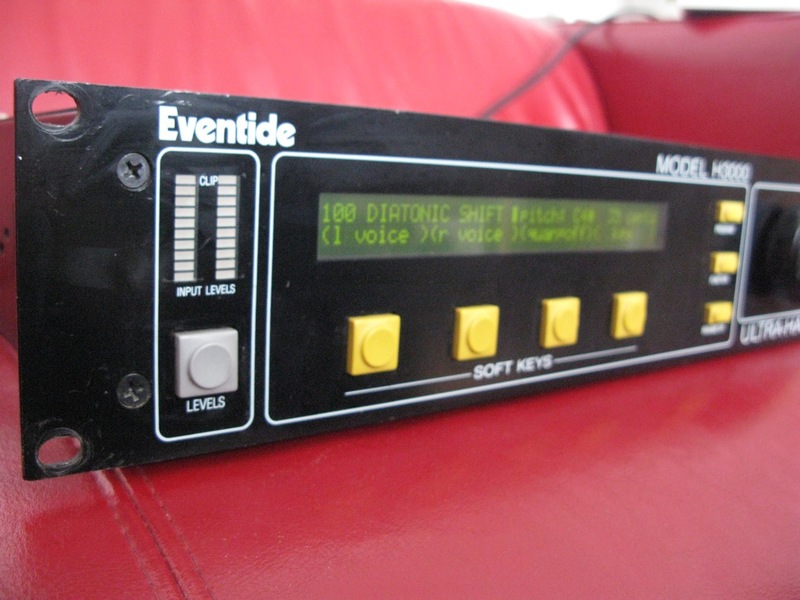 Because indeed, SoundToys also modeled the analog distortion of the Eventide and the AMS, and you can hear it. And even better, the plug-in doesn't use much in the way of CPU resources: Only 0.80% on our Intel Core i7 @ 2 GHz, which is next to nothing! One brief remark before moving on to the audio examples. True, this sort of processor is adjusted by "instinct" and the small number of parameters available do not really call for the detailed reading of an endless manual. However, it is still useful to take a look at the user guide, if only to understand the preset manager or to learn how to make the values of the knobs be displayed, if you are obsessed with precision. Yet, it is a real pain to find the PDF manual, which is placed on your hard drive during installation. It's impossible to access it directly from the plug-in or to find it on the publisher's website, and the path to the folder where it is located is written...in the manual itself! Amusing, isn't it? So, write it down: On Windows you''ll find it in the Program Files > SoundToys folder, and on Mac OS X, it can be found under Applications > SoundToys. You may not know it yet, but you are already familiar with the effect MicroShift recreates. Many artists and producers used it and abused it during the '80s. Suffice it to mention Brian Eno (and thus U2), Sting, Prince, or even David Bowie. Generally used to give more breadth to lead vocals or choirs, this type of effect is also placed on other sources (from guitar to piano and bass) with more or less success. But let's start from the beginning with some lead vocals. The example "02-Voix-Light" is a textbook case. It's the AMS (III) algorithm with very light pitch variations (Detune set to 50%), a Delay set to 200% and a moderate balance between source and processed signals (Mix set to 25.5%). The result sounds wider and adds some depth without altering the source too much. You can obviously go further, like sample "03-Voix-Hard" proves. In this case, I used one of the Eventide H3000 algorithms (I) with a bit more Detune (65.9 %), still a Delay of 200%, and Mix set to 100% processed signal. The gain in width is even greater, but it's a bit too much for lead vocals, not to mention mono compatibility, which might be affected. Let's see now what the different MicroShift algorithms can achieve with a choir. Samples 05 to 07 correspond to a Mix set to 100%, Detune set to 69.3% and Delay set to 200%. The only difference is the algorithm type, which follows this order: Preset #231 and #519 of the H3000 (I and II) and then AMS DMX 15-80 (III). A first observation, the gain in depth and cohesion is simply awesome, regardless of the algorithm. With such settings the choir naturally takes its place on the back of the mix to wrap up the rest of the instruments in a very nice fashion. The difference between the algorithms is extremely subtle. The frequency response seems to be slightly different between the two Eventide ones, but nothing significant. 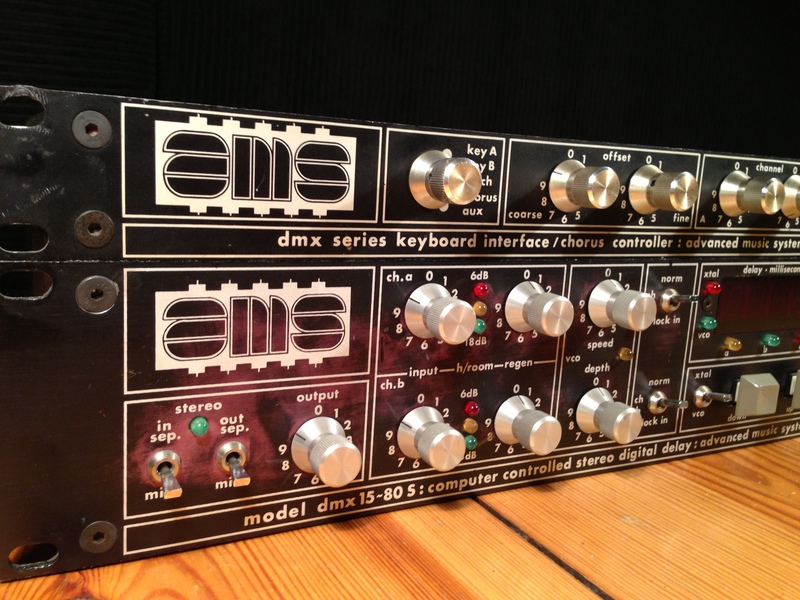 For its part, the AMS DMX 15-80 has a more distinctive personality. It seems more "colored" and sounds more "British" than "US" to my ears. But that's something very subjective. Let's now take a distance from its classic use on vocals and apply SoundToys to an acoustic guitar. On the "FocusLess" example, I used algorithm III at 100% with Detune set to 74.6% and 89.8% of Delay. Focus is set to its default value, 20Hz that is, so the entire frequency range of the guitar is processed. The space and depth are definitely there, but the image gets smeared, and sounds a bit muddy. By setting Focus to 200Hz in the next sample, I got rid of the problem by filtering out the low frequencies. Thus, the low-end of the guitar remains accurate while the rest of the frequency range starts moving. Sample 11 shows an extreme widening of the guitar, up to the point that it seems to be two different guitar tracks. The effect is very nice, but you should be careful with mono compatibility, as example 12 demonstrates. Let's try now a less common use of this type of effect with a bass take. The settings applied to example 14 are the following: Algorithm III with Mix set to 41.5%, Focus at 20Hz, Detune at 116.5%, and Delay at 50%. The bass line gains some dimension with a very '80s feel to it. The biggest inconvenience is a great loss of precision, of course. Fortunately, setting Focus to 120Hz (sample 15), we can save the body of the bass, which allows it to keep a good foundation while still having that '80s feel. To finish, let's see what this MicroShift can add to a synth pad. The sound speaks for itself. The synth not only gains space, but also becomes more lively thanks to the micro pitch and delay variations that create a nice sensation of movement. SoundToys' MicroShift is a plug-in on par with the other SoundToys products, and is the first that can be used without a dongle. You could certainly argue that the price ($129) is a bit high for a plug-in that only does one thing. That's true, but what it does, it does really well. What's more, this effect has more tricks up its sleeve than you might think. Besides putting it on obvious sources like vocals, guitar or piano, it can also be used to give some movement to the hi-hats, for example, or to make a convolution reverb more lively. Your imagination is the only limit…That and mono compatibility. As always, we invite you to listen to the audio samples under good conditions, as well as to download the demo version available at the publisher's website, so you can form your own opinion.